When reading the following biographies the reader should have in mind that as the White Australia Policy was introduced in 1901, Indians who were born in India and migrated to Australia would have arrived before that time, and as World War One commenced in 1914 most Sikhs who enlisted in the Australian Imperial Force would have been in the mid-thirties or older. 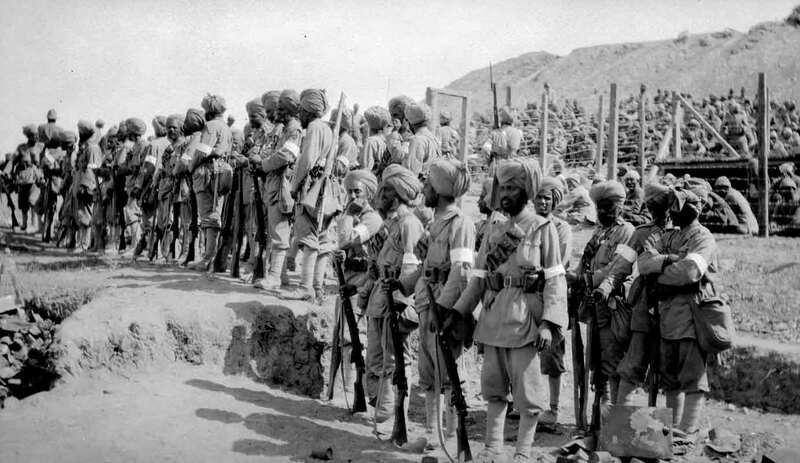 To Date: 9 SIKHS WERE ANZACS. Note: Several men that enlisted were discharged soon after their enlistment or rejected for not being of enough European Origin. THIS LIST IS NOT A FULL ACCOUNT OF ALL SOLDIERS OF INDIAN ORIGIN. IT IS A WORK IN PROGRESS. Kiam Deen was born in Delhi, India where he spent three years in the Sepoy Regiment. Kiam, aged 30 worked as a labourer and lived at 63 Abercrombie Street, Sydney, New South Wales with his wife Florrie when he enlisted in the Australian Imperial Force on the 28th of December 1914 at Liverpool, Sydney. He was discharged on the 4th of February 1915 at his own request. Charles Khan, the son of Curlanah Khan was born in Calcutta, India. He migrated to Australia about 1895. Charles a labourer resided at Renmark, South Australia when he enlisted in the Australian Imperial Force on the 6th of April 1915 at Keswick, South Australia as a Private in the 7th Reinforcements, and his Regimental Number was 2395. While stationed at Mitcham Military Camp, South Australia. Charles married Maud May Maynard an Australian woman from Noarlunga, South Australia on the 18th June 1915 at Prospect, South Australia. He was transferred to the 50th Battalion as a Cook and embarked on the HMAT “Kanowna”. He served in Gallipoli, France and Flanders, Egypt and was wounded in the field on the 30th of March 1917. Charles contracted Diphtheria on the 7th of March 1919 and was admitted to the 14th Station Hospital at Boulogne Base. He rejoined his unit in France on the 2nd of April and then he was sent to England. On the 15th June 1919 he was returned to Australia and during the voyage Charles was admitted to the ship’s hospital for eight days. Charles was awarded the Meritorious Service Medal “HIS MAJESTY THE KING has been graciously pleased to approve of the award of the Meritorious Service Medal to the undermentioned, in recognition of valuable services rendered with the Armies in France and Flanders: No. 2395 Private C. KHAN.” This notice was also promulgated in the Commonwealth of Australian Commonwealth Gazette, No. 113, dated the 6th October 1919. A letter was sent to Charles’s wife at Noarlunga, South Australia from the Major at Victoria Barracks, Melbourne, informing her or the award and the extract of the newspaper article. Charles was discharged the 29th of September 1919. As well as the Meritorious Service Medal Charles was awarded the 1914-15 Star, British War Medal and Victory Medal. He died in South Australia on the 4th of February 1936 and his wife Maud on the 10th of August 1957. They are buried in the Old Section of the Renmark General Cemetery, South Australia. Fatte Allie Khan was born in India where he had served for three years in the Lancers. In Australia he was a farmer and live with his wife Jane in Launceston, Tasmania. At age 45 he enlisted in the Australian Imperial Force on the 12th of October 1915 at Claremont, Tasmania as a Private his Regimental Number was 1114 in the 1st Australian Remount Unit. He was posted to the 32nd Battalion and embarked on the HMAT “Orsova” at Melbourne, Victoria. Fatte suffered with Muscular Rheumatism and Cardiac Disease and was discharged f rom the army on the 3rd March 1916. Glamallie Khan (Ghulam Ali Khan) was the son of Azimullah and Roshenay Khan and was born in Mohri, Gujurat, India (now Pakistan), in 1886. 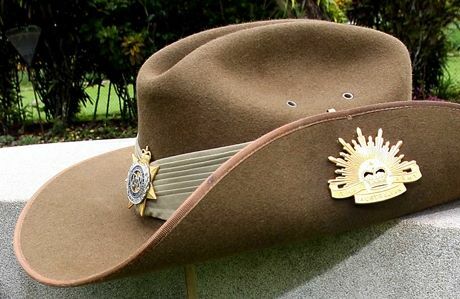 He was a Hawker in the Nhill, Victoria district, when he enlisted in the Australian Imperial Force in 20 August 1915 at Adelaide, South Australia as a Private his Regimental Number 2019 in the 3rd Light Horse Regiment. On the 10th February 1916 he embarked at Outer Harbour, Adelaide on the HMAT “Warilda”. After enlisting he returned to Nhill in full uniform before embarking with the troops for Europe. While in France in the 32nd Regiment, Glamallie became ill with a kidney infection and was deemed permanently unfit for service and returned to Australia on the “Ayrshire” on the 23rd May 1917 and discharged in September 1917. He died in 1919 and his body was buried in the Coburg Pine Tree Cemetery. Abraham MAHOMET was born Bombay, India on the 4th October 1881. Abraham, a labourer and married man aged 36 of Wee Waa, New South Wales, enlisted in the Australian Imperial Force on the 17th April 1918 at Sydney, New South Wales, a Private in Unit 10 General Service Reinforcements, his Service Number was 87683 he was discharged after 111 days as at that time only British Subjects of substantial European descent were accepted for service with the Expeditionary Force. Cassim Mahomet Singer, Songwriter and Vaudeville Artist was born at Wee Waa New South Wales, Australia. His parents migrated to Australia from Bombay, India. Cassim was a Mohemmedan but was listed as Catholic on his enlistment papers. He enlisted as a Private in the Australian Imperial Force (AIF) on the 27th October 1916 at Adelaide, South Australia. His regimental number was 7036 and he was assigned to the 23/10th Battalion. Private Mahomet embarked on the“Berrima” on the 16th December 1916 from Adelaide, destined for France and in May 1918 was part of the 3rd Brigade, Concert Party that entertained the troops in France and England. Private Mahomet 23/10th Battalion returned to Australia in the transport ”Konigin Luise” from England on the 18th December 1919. He arrived in Australia on the 31st January 1920, and was discharged from the A.I.F. in Sydney on the 2nd May 1920. In 1923 he worked for the Broken Hill Propriety Ltd., New South Wales. It is interesting to note that his younger brother Hussien Mahomet also attempted to enlist but was rejected: as he was only 14 years of age. In April 1924 Mahomet’s Southern Cross Company (Vaudeville) opened to a large and appreciative audience in the King’s Theatre and a most excellent bright and varied programme was presented. Mahomet possessed a beautiful tenor-baritone voice and delightful personality and he endeared himself to all with, whom he came in contact. On the night Mahomet scored an instant success with his rendition of his own songs which included, ‘Australia for Mine,’ and ‘Anywhere in Aussie,’ and like the other members of the company had to respond to many encores. In 1930 after touring the world on vaudeville circuits for five years, Cass Mahomet, was known as “The Indian Digger,” was welcomed home to Western Australia by a concourse of old comrades. Sunday Times, Perth, WA. Sunday 16 November 1930, p. 10. On another occasion Mahomet attended the 10th Battalion AIF Reunion and annual smoke night at Australia Hall, Adelaide. Prior to the social, a short service was held at the War Memorial. Relatives and friends who attend placed wreaths and flowers on the memorial. The 10/50th A.M.F. Band led a procession of returned soldiers from the memorial to Australia Hall. Cassim Mahomet was awarded the British War Medal and Victory Medal. He died, aged 61 on the 16th November 1955 and was given a Soldier’s burial on the 21st November at Auckland, New Zealand. James Clarence Nabibux (sic Nabi Bux) was born in 1899 in Moama, New South Wales, he was the son of James Nabi Bux (Nabi Bukahsh), a labourer who was a migrant from the Punjab, India, and his wife, Grace, nee Atkinson who was of Aboriginal Heritage and born at Cummeragunga, N.S.W. James worked as a Labourer in Narrandera. He enlisted in the Australian Imperial Force Infantry at Cootamundra, as a Private, in the 45th Battalion, 6th Reinforcement, his Regimental Number was 2695. He embarked from Sydney, New South Wales, on board H.M.A.T A40 “Ceramic” on 7 October 1916 for the Western Front. James was killed in Action in Belgium on the 7 June 1917; he was only 18 years and 5 months of age. He has no know grave. His name is commemorated on the Ypres Menin Gate Memorial Panel 27 in Belgium, The Australian War Memorial Roll of Honour, Panel 140, and on the Cairn at the Monument made from stone quarried in vicinity of Narrandera, in the Memorial Gardens Narrandera N.S.W. James was awarded the British War Medal and the Victory Medal. Murray, Gary, Biography of Pastor Sir Douglas Ralph Nicholls (1906-1988), 2007, p. 1. Anthony Noel the son of Dorsamy and Josephine Noel was born in Gladesville, New South Wales in 1896, his birth name was Antonio Noel. Anthony married Harriet Suprain at Ryde, New South Wales in 1919. He worked as a Labourer at and enlisted in the Australian Imperial Force on the 18th of May 1916 at Parkes, New South Wales as a Private in the 54th Redinforcements Battalion Depot Camp at Bathurst and his Regimental Number was 33146. He was dicharged on the 31st of May 1916 at the request of his parents possible because his brother Joseph Francis and Charles Noel had also enlisted. He died in 1922 at Drummoyne, New South Wales. When Joseph, a labourer aged 26 was living at 15 Denning street, Drummoyne, Sydney, New South Wales he enlisted in the Australian Imperial Force on 22nd of May 1916 at Parkes, New South Wales as a Private in the 54th Infantry Battalion, 5th Reinforcement, his Regimental number was 2468. He embarked from Sydney on the HMAT A60 “Aeneas” on the 30th September 1916. He was in hospital in France on the 23rd of February 1917 and later wounded in Action on the 31st of March 1917 and then transported to a hospital in Southall, England he was transferred to the 61st Battalion at Wareham, then the 16th Field Ambulance then back to the 61st Battalion at Wareham and then back to France. While in transferred back into the 54th Battalion on the 1st of January 1918 and sent to France where he was admitted to hospital again on the 4th of February 1918. Joseph was admitted to hospital in France on the 24th of April after being Gassed and he was also shot in the right side of his chest through the lung. The ( the lung healed well ) at the Somme on the 31st March 1917 and wounded again on a third occasion on the 8th of July 1918 and declared invalided due to a gunshot wound to the left forearm on the 14th of July 1918 and admitted to Cambridge hospital, Aldershot, England. He was then transferred to the 56th Battalion on the 24th of October 1918 and the returned to France. He was returned to Australia on 23rd of July 1919 on the HMAT – I ”Main”. Admitted to ship’s hospital sick on th 13th September 1919. He was discharged from the A.I.F. at Sydney on the 5th of February 1920. He died in 1928 at Redfern, New South Wales. Joseph was awarded the British General Service Medal and the Victory Medal. Ahmar Singh Anzac Day 1947. Amah or Ahmar SINGH (Aka John James Lawrence/Laurence and Ahmar Gaga Singh). 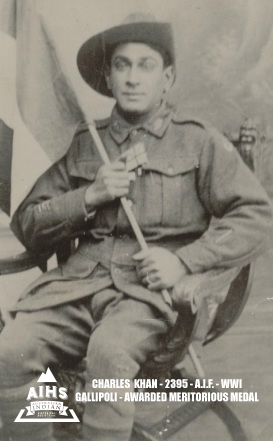 After enlistment Private John Lawrence went to the Broadmeadows camp and then to Geelong. On the 14th March 1916 he embarked at Melbourne for the Middle East with the 5th Reinforcements, 29th Battalion, 8th Brigade on the Troop Transport “Anchises.” Some of his service records during World War One seem to be missing from the National Archives. During his time in the A.I.F. his rank was; Corporal 31 December 1916 England, Temporary Sergeant 8th Infantry Training Battalion 1 January – 23 January 1917, Corporal 24 January 1917, and on 5th March on Permanent Cadre 8th Infantry Training. On his enlistment papers it was noted that Armah had a distinguishing feature of a tattoo on his right forearm. 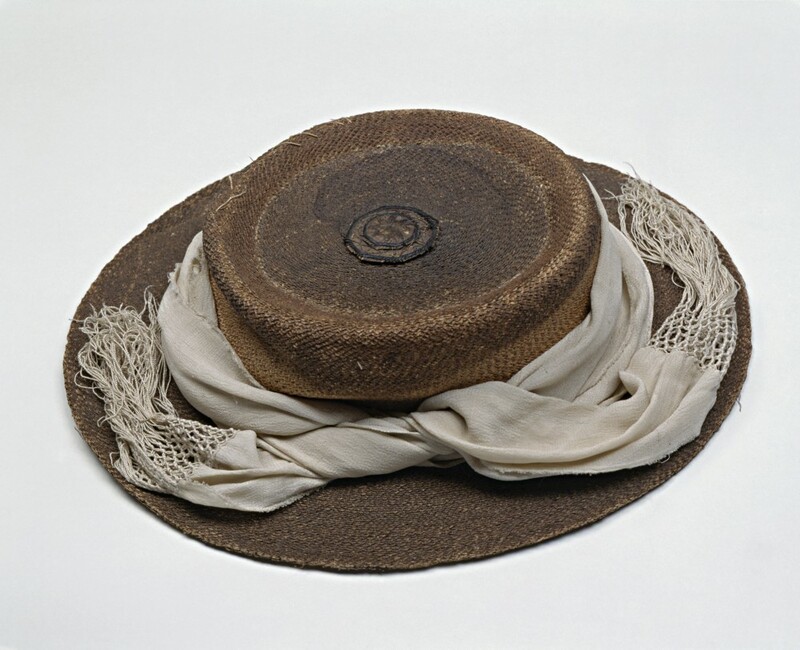 He was returned to Australia on the Troop Transport “Euripides” on the 21 July 1917, because he was diagnosed with defective vision, and disembarked in Melbourne on the 18 September. He was discharged as medically unfit from the army on 14 November 1917 was awarded the British War Medal 1914-1918. Davy Singh, a hawker from Kellys Gully via Warilda, New South Wales, was born in Lahore, Punjab, India, about 1882. He married Australian woman, Jane Sidebottom in 1914 and enlisted at Invernell, New South Wales, in the Australian Imperial Force on the 12th February 1916, aged 34 years with the 33rd Battalion, A Company, Private, service number 179. He embarked with his Unit from Sydney, New South Wales, on HMAT/A74 “Marathon” on the 4 May 1916. While he was serving in France, Davy contracted influenza and was admitted to the Connaught Hospital, Aldershot, England on the 29th April 1917. Suffering from Neurasthenia he was returned to Australia on the 27th July 1917 for home service. He arrived in Australia on the 24th September 1917 and was discharged, as medically unfit, on the 30th October 1917. According to his family history Davey Singh died aged 70 years in 1952 at Bega, N.S.W., two years after his wife had died. He was survived by his two children, Catherine and David Thomas Singh. Desanda Singh was born in the Kapurthala, Punjab, India. He was a farmer at Denial Bay, South Australia when he enlisted as a Private in the 34/3 Light Horse Regiment of the Australian Imperial Force. His service number was 3720 and he disembarked from the “S. S. Ormande” on the 4th April 1918 at Suez and served overseas until he was returned to Australia on the HT “Wiltshire”. He was discharged on the 10th October 1918. Desanda was well known for wearing a gold and blue turban. He was a successful hawker, businessman and farmer and said that Australia was the best country in the world. His enthusiasm was tempered only by the Commonwealth policy that compelled him to live thousands of miles away from his family. He had worked as a hawker on and off for 40 years and returned to India for periodical visits to the Punjab to visit his wife and children. He returned to India on the the 30th May 1939 on the “Narkunda” and the trail of Dasunda seems to end in Australia around the 1940s. However, he did finally return to his family in India, where he later became blind and died about 10 or 15 years later. Ganessa Singh was born in Punjab, India and he may have arrived in Australia around 1908-09 from Raipur Dabba, Tehsil, Nawashehr. Punjab, India. He first worked as a hawker, then a storekeeper and later a wheat farmer in Waikerie, South Australia. His farm consisted of 5,188 acres at Hundred of Bakara, Section 9, South Australia which he acquired in February 1910. He was affectionately known in the district as Jimmy Ganessa Singh and farmed his property with his friend, Saran Singh. The property became known by people in the district as “Singh’s Farm”. Ganessa Singh with the Australian Imperial Forces on 11th September 1916 at Waikerie, and was assigned to the 10th Battalion, 24th Reinforcement as a Private. His service number was 7351. He embarked from Adelaide, South Australia, on HMAT A30 “Borda” on the 23rd June 1917 bound for Plymouth, England. He was in France and Flanders from the 23rd January 1918 near Villers Bretonneux before becoming sick with bronchitis and returned to Australia on the 6th June 1918. Ganessa was discharged on the 20th September 1918 and was awarded both the British War Medal and Victory Medal. Ganessa Singh later moved from Wakerie to nearby Boolgun, South Australia. He died aged 63 years on the 30th September 1942 and was cremated on the 2nd October 1942 at the West Terrace Cemetery, Adelaide, South Australia. Goodger Singh, a widower, was born in the Punjab, India. In India he had served in a Sikh Regiment. He migrated to Western Australia where he worked as a Contractor. On the 8 March 1916 at the age of 40, he enlisted in the Australian Imperial Force at Geraldton W.A. Goodger did not seem to receive a Service Number and it is unclear if he was rejected or did not proceed with his enlistment. His next of kin was his married daughter who lived in the Punjab. Gurbachan Singh was born about 1869 in Jandiala, Jullundhur, India. He migrated to Australia after he was discharged from his army service in India. He had previously served with the Commissioniers Department for 5 years and also 18 months with the 7th Infantry Brigade and Supply Transport Corps in Africa at the Tirah Campaign and the siege of Ladysmith. Gurbachan was awarded the Queen’s South Africa Medal with two clasps. In Australia he worked as a hawker, storekeeper and dealer and built a lucrative business at 195 Elizabeth Street, Sydney, New South Wales when he joined the Australian Imperial Force, G Company, 3rd Battalion, on the 3rd October 1914 in Sydney, New South Wales as a Private his service number 1404. 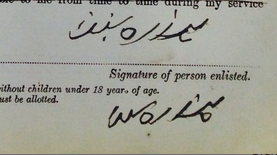 When Gurbachan boarded the “Euridipes” on the 20th October, he reported to the Orderly Room of the 3rd Battalion and was in possession of numerous references from Regimental Officers in South Africa and Victoria, Australia, but it seems that he was not properly attested and was discharged at Albany on the 29th October 1914. Gurbachan re-enlisted on the 5th April 1916 aged 43 years in the AIF as a Private, service number 2714, 56th Battalion, 6th Reinforcement. He embarked from Sydney, New South Wales, on board HMAT A40 “Ceramic” on 7 October 1916. On his arrival in London he was transferred to the 54th Battalion and was sent to France on the 26th June 1917. After he was admitted to hospital on the 31st August 1917 Gurbachan was then sent to Weymouth, England and returned to Australia on the 21st December 1917 on the “Persic”. He was discharged as he was overage and not fit for duty. He arrived at Melbourne on the 12th February 1918 and then sailed to Sydney via the “S. S. Ormande” where he was discharged from the AIF on the 4th June 1918. 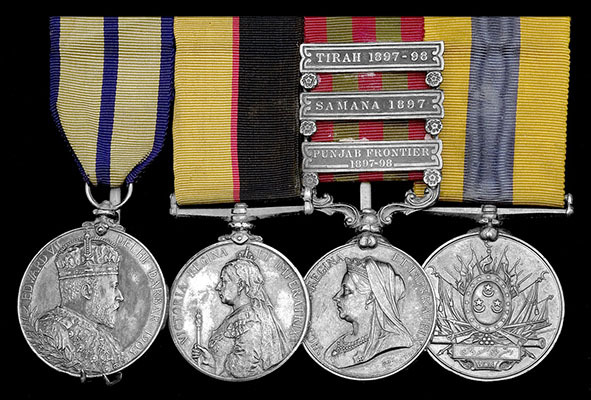 Gurbachan was awarded the British War Medal and Victory Medal. He returned to India via Hong Kong on the S. S. “Canpla” on the 8th June 1919. It is unclear if Gurbachan returned to Australia as he has dissapeared from all historical records after this time. Hazara Singh the son of D. Singh and grandson of Attar Singh, District of Jullandah, Punjab, India was born about 1864 in Lahore, Punjab, India and arrived in Sydney, Australia on 13th April 1897 on the “Vadala” from Calcutta, India. In Australia, Hazara worked as a hawker in and around Gundagai, New South Wales and quickly settled at the nearby town of Brungle where he opened a store in 1908. During World War One he enlisted as a Private, his service number was 5176, 13th Battalion, 16th Reinforcement of the Australian Imperial Force at Liverpool New South Wales on the 28th December 1915. Before arriving in Australia Hazara had fought in Burma for 5 years and in Afghanistan with the 32nd Sikhs Regiment. At the time of his enlistment he was a Storekeeper. Hazara embarked on the HMAT A16 “Star of Victoria” on 31 March 1916 at sydney, New South Wales, bound for Alexandria where he joined the British Expeditionary Force and was sent to France. He was admitted to the Camiers General Hospital, France suffering from Asthma. He was transferred to Perham Downs, Camp, England by the Hospital Ship, “Stad Antwerpen,” and admitted to the 2nd General Hospital, Manchester, suffering from debility. He was returned to Australia from Weymouth, England, on the S. S. “Beltana” on the 17th March 1917. It appears that he was overage as he was born ca. 1864 and in 1915 would have been about 51 years of age or older, and in all probability had lied about his age when enlisting. He was discharged from the A.I.F., on the 13 June 1917. On Saturday morning the 14th December 1918 the townspeople of Gundagai, New South Wales, accorded a welcome home to Corporal Frank Withers and Privates Bern, Marshall and Singh. Private Hazara Singh told how all the boys at the front were true comrades and if one had a biscuit he shared it with his mates. Hazara returned home to Gundagai with an English wife, Ada of 4 Monte Video Terrace, Weymouth, England, whom he married on the 14th September 1917 in England. He was awarded the British War Medal and Victory Medal. In later life Hazara lived at 195 Elizabeth Street, Redfern, New South Wales with another wife Charlotte Walsh Singh; Hazara died at Redfern aged 84 years. He was cremated at the Eastern Suburbs Crematorium Military Road, Matraville, New South Wales, on the 27th October 1948. Johar Singh born at Hebel, Angledoon, Queensland in 1887. Approximately 30 years of age, his occupation was that of a Contractor and his next of kin was his friend, James Little of Fish Creek, South Gippsland. Johar enlisted as a Private in the Australian Imperial Force, 13th Reinforcement, 7th Battalion, under the name of George Sims, service number 4319, on the 22nd July 1915 at Melbourne, Victoria. He did not embark for overseas duty as he was injured and then discharged at Broadmeadows, Victoria, on the 25th March 1916. Juwan (Jewan/Juan) Singh born Ladhran, Nakodar District, Jullundur, Punjab, India, arrived in Australia in the mid 1890’s and worked as a hawker in Victoria and around the Blanchetown district of South Australia. He later became a respected farmer, and horse dealer in Blanchetown, Loxton and Waikerie. Juwan was born about 1863 at Ladhran, Punjab, India where his son Purtan Singh lived. He married in about 1883 in India, but was a widower in 1917 when he joined the 34th Reinforcement 3rd Light Horse Regiment in the Australian Imperial Force on the 5th November 1917 at Adelaide, South Australia, as a Private, Regimental Number 13711. During his ninety-five days of service Juwan had been admonished for being disobedient and visiting The Black Forest Temperance Hotel that had been listed as off limits to all members of His Majesty’s Forces, and be was discharged from the 3 Light Horse Regiment of the A.I.F. for being “unlikey to become an efficient soldier” from the AIF on the 8th February 1918. In 1924 Juwan was a storekeeper at Waymouth Street, Adelaide and had a hawking business in Karoonda area near Loxton, South Australia. He was a horse dealer and was photographed with Sir Sidney Kidman at the sale yards at Kapunda, SA in 1918. In later life Juwan Singh lived at 23 Hocking Place, Adelaide, South Australia. He died aged 82 years of Congestive Cardiac Failure on 18th July 1945 at Royal Adelaide Hospital, South Australia. His two sons were deceased and he was survived by one daughter. Linna Singh from Delhi, Punjab, India, had served for almost 7 years in the Indian Army. In Western Australia he worked as a Watchman and later as a Traveller. He married Amelia Ruth Cooke an Australian woman, on the 18th January 1910, and he had a son, Arenja Singh. Linna stated his son was in an orphanage. Aged 45, Linna enlisted as a Private in the 44th Depot, Australian Imperial Force on the 4th January 1915 at Perth, Western Australian and was then transferred to Blackboy Hill, Western Australia. Blackboy Hill was the site of a military training camp used to house large numbers of Australian Troops before they left for the various battlefronts in Europe and the Middle East. As Linna was not given a service number it is unclear why he was admitted to a unit and issued a uniform. There are no other details about his service or what became of him. Nain Singh Sailani was born on the 31st July 1872 and was the son of Ranjore Singh of Charamadi, Sarana, Shimla, India who was of the Gorkha Caste. He arrived in Australia about 1895 according to one possible shipping source and definitely before 1898 in Western Australia, when he applied for a Miners right and business license. In 1916 he was working as a labourer Western Australia. He enlisted at Perth, Western Australia, in the Australian Imperial Force on the 7th February 1916, aged 43, as a Private, his service number 658 in the 44th Battalion, C. Company. His mailing address was the General Post Office, Perth. Nain embarked from Fremantle, Western Australia, on HMAT A29 Suevic on 6 June 1916 for service at the Western Front. He was killed in action on the 1st June 1917 and was buried at Strand Military Cemetery, Plot II, Row D, Grave No. 10, Ploegsteert, Belgium. It is unclear how Nain was killed, however, it was a few days before the Battle of Messines which began on the 7 June 1917. Nain Singh Sailani is commemorated on the Roll of Honour at the Australian War Memorial, Panel number 138 and on one of the marble tablets in the crypt at the Cenotaph, War Memorial Kings Park, Mt. Eliza, Perth, Western Australia. As his father had deceased after Nain enlisted in the AIF. His estate was forwarded to his mother, by Nain’s Executor of his last Will and Testament, Cyril Edward Coleman, a Tobacconist, of William Street, Perth, Western Australia. Nain was awarded the British War Medal and Victory Medal, as his father had died, his medals were sent to his Mother Mrs. Ranjore Singh c/o Babu Bool Chand, Clerk Office of Railway Board, Shimla India. 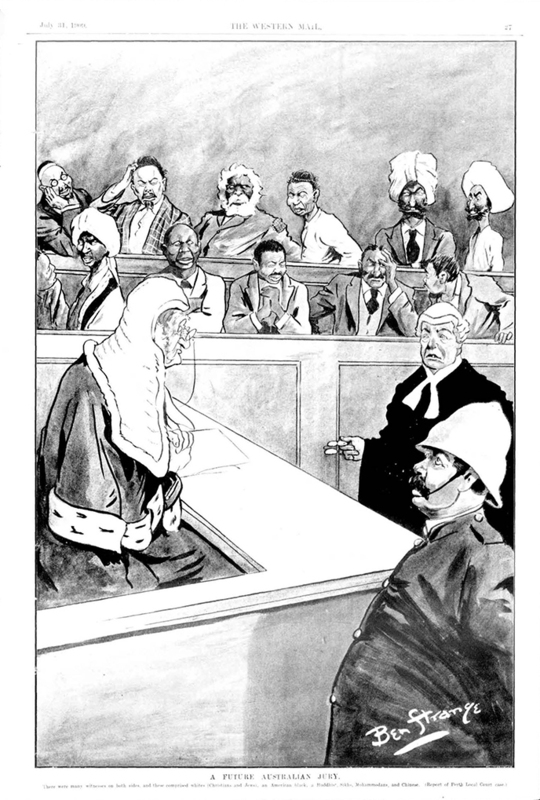 Nundah Singh was born in Lahore, India on the 10th January 1882. In India he served with the 1st Punjab Lancers. A farmer and widower in Lismore, New South Wales, Australia, aged 35 years, he attempted to enlist in Australian Imperial Force at the East Sydney Recruiting Depot, 167 William Street, Darlinghurst, New South Wales, on the 25th January 1918, but it appears that Nundah did not have a service number or unit. Sarn Singh (sic Saran Singh Johal) was born in Jandiala, Phillaur, Jullunder, Punjab, India in 1870. He was the eldest of six son’s of Chaudri Kishen Singh who was Zaildar of Jandiala, Phillaur, Tehsi, Jalandhar. Saran came to Australia leaving his wife, Partap Kaur in Jandiala. When Saran arrived Australia before 1900 he most probably began working as a Hawker, as did his friend Ganessa Singh and most new Sikh arrivals. He later worked a wheat farm with his friend Ganessa Singh in the small country town of Maggea, South Australia. Saran and Ganessa were well-known in the the Murray Mallee district and Ganessa’s farm is still known by residents in the surrounding Maggea district as, “Singh’s Farm.” Saran, Ganessa and Juwan Singh lived and worked in the Maggea District and all enlisted in the Australian Imperial Force during World War One. Saran enlisted in the Australian Imperial Force at Adelaide, South Australia on the 15th may 1916 as a Private, service number 2255, 50th Battalion, 5th Reinforcement. He embarked from Adelaide, on board HMAT A70 Ballarat on the 12th August 1916 for service at the Western Front. He disembarked at Devonport on the 30th September and went to the Infantry Training Battalion, Codford, Salisbury, UK, where Australian Troops were the major occupants. Saran Singh left Southampton for France and Flanders where there was fighting near Armentieres. He suffered from inflamed feet and was treated by the 9th Field ambulance on the 31st January 1917 and sent back to duty the next day. Saran Singh was killed in action on the Messines Ridge in Belgium on the 10th June 1917 and buried there in the field by the Reverend G. Huthenace the same day. It is unknown where his grave is although Revererend Huthenace wrote to Saran’s widow saying that he had marked the location of his grave but could not tell her its location at that time. Saran’s name has been commemorated at the Ypres Menin Gate memorial Panel 27, Belgium. His name is also on Panel number 137 on the Roll of Honour at the Australian War Memorial. He was posthumously awarded the British War medal and Victory Medal and the medals were sent to his widow, Partap, in India. The Executor of his last Will and Testament was Amon Bux from Adelaide, who ensured that Saran’s estate was administered and sent to his widow who later received and army pension. His brother Charan Singh was mentioned in his Will but he also had a younger brother, Narnijan Singh. Saran and his wife did not have any children. Saran Singh’s memory was honoured in the newspaper in June 1918, “His duty nobly done,” by his friend and executor of his Will, Amon Bux and Jean St. Claire, the widow of Saran’s mate Private John Edward Harold Norman St. Claire, 2261, 43rd Battalion AIF. John St. Claire affectionately known as “Pat and Paddy,” enlisted on the same day as his mate Saran. John was killed in action in Belgium on the 12 June 1917, two days after Saran had been killed. Sirdar (Sidara) Singh was born in Jullunder, India about 1877 and may have arrived in Melbourne Australia aged 37 via Ismaila on the 15 November 1900 (Note: another Sirdar or Sidara Singh of Ouyen, Victoria arrived at the same time so it is unclear which one was on the Ismaila). Sirdar began work as a Merchant in Adelaide, South Australia. He had previously served for almost 5 years with the 16th Bengal Lancers in India. On the 8th October 1917 he enlisted in the Australian Imperial Force and joined the 3rd Light Horse Regiment, 34th Reinforcement as a Private, service number was 3708. He was promoted to Lance Corporal and then reverted to Private. Sirdar embarked on the “S. S. Ormande” bound for Suez on the 7th March 1918 to serve in Egypt. Trooper Sidar Singh returned to Australia on the HT “Wiltshire” on the 30th August 1918 and was discharged from the AIF on the 10th October 1918. Sirdar Singh whose occupation was that of a hawker and a respected member of St. Peter’s Masonic Lodge, died aged 73 years on 29th August 1950 in the Freeling Hospital, Freeling, South Australia and was cremated at the West Terrace Cemetery, Adelaide, South Australia. Yaharra Singh’s signature on his A.I.F. enlistment papers,1 March 1916. Some Indians were rejected at enlistment or were discharged shortly after enlistment. Their names still appeared on the Honour Rolls published in the Newspapers in Australia, along with other men who had enlisted. Basant Singh. Basant migrated to Australia from Nangal Kalan, a Village in Mahilpur Tehsil inHoshiarpur, Punjab, India. His wife, Purtab remained in India. He enlisted for the Australian Imperial Force Infantry on the 8 October 1914 at Foster, Victoria. It seems he was rejected because he admitted to taking opium regularly and H. Campbell Wilson the Medical Officer warned Basant that he might be rejected because of his habit. Joher/Johar Singh. See Johar Singh above. Sham Singh. His name was listed on the Swan Hill, Victoria, Honor Roll in the Swan Hill Hill Guardian and Lake Bogan Advocate Victoria in 1916. Yarrah Singh. See Yarrah (Hazara) Singh above. Sunda was a farmer aged 35 when enlisted in the Australian Imperial Force at Macksville, N.S.W. in June 1916. He was rejected by the Recruiting Officer for not being of European Origin. Indians also spoke at Recuitment Rallies and Donated to the War Chests and Appeals with money and goods. 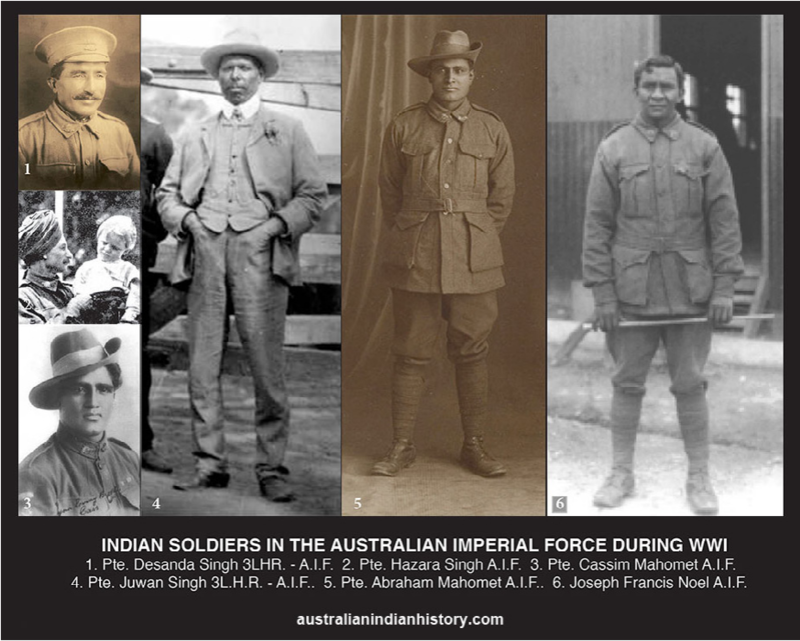 The following article shows how Australians were encouraged to enlist by some of the old Indian Veterans, in this case, Harda (Hardit) Singh. Harda (Hardit) Singh In August 1918 at the Geelong Recruitment Rally for World War One Sergeant Broadhurst invited the people in the audience to speak to the youth present. Harda Singh was the only person to respond, he had been in Australia for 25 years. With his hands raised in the air he began his speech with, “There is only one God” followed by Ladies, Gentlemen and Young Fellows. He spoke about Lord Roberts and Lord Kitchener and that he had recently heard that another of his three brothers was on service and another brother was mentioned and reported wounded a week before in Sir Doulgas Haig’s despatches for the fourth time. He also mentioned that his two nephews were in the firing line, as was his own sixteen year old son. He told how he had tried again and again near his home in the Wimmera, Victoria, to join the A.I.F. but was always turned down with the inexorable “too old.” He told the crowd what a good country and how well worht fighting for Australia was and that even though they might be killed in battle, they would die knowing the world would be made a better place for their families. Everyone present was so impressed with Harda’s speech that many came up to shake his hand and congratulate him. His speech helped to encourage many young people to enlist. National Archives Australia Copies of WWI FILES for these soldiers were purchased during our research and then digitised. Family Histories: Cass Mohomet Family, Desanda Singh Family, Sarn (sic Saran) Singh Family, Noel Family, Nain Singh Sailani Family. Searcy Collection, State Library of South Australia. Crystal Jordan – Desanda Singh Photograph.